... and is continuing to grow in my backyard. As I was painting the many layers of green in this painting I was thinking about how comforting it is to have this humble plant growing just outside my door. My parents have it growing in their yard as well, as did my Grandparents and their parents. And that got me to thinking.... how long has lettuce been growing? After a short Wikipedia search, I learned that lettuce has been growing and feeding us for thousands of years! 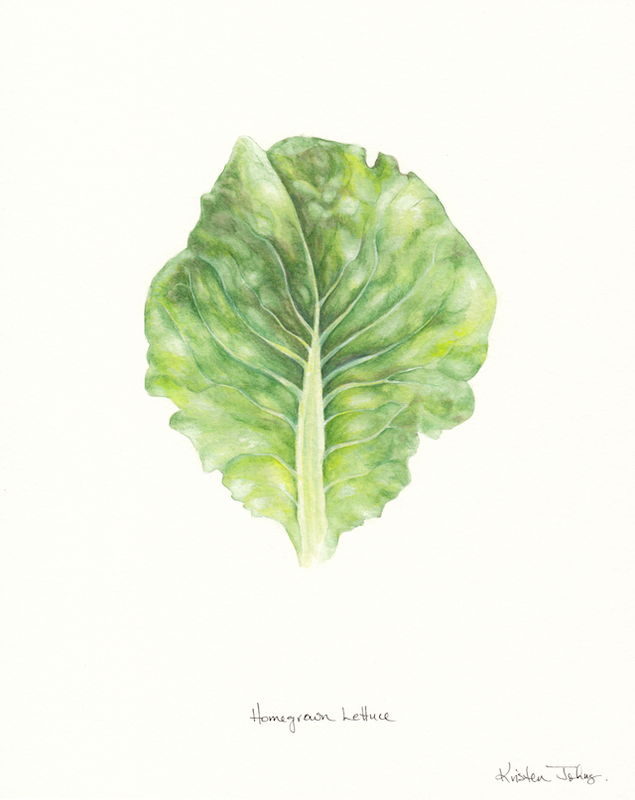 It was the ancient Egyptians who bred lettuce into a plant grown for its edible leaves in 2680 BC. That's 4694 years ago! Over four thousand years of bright green tasty leaves... somehow I take great comfort in that. This original 8 x 10 painting is available in my shop.